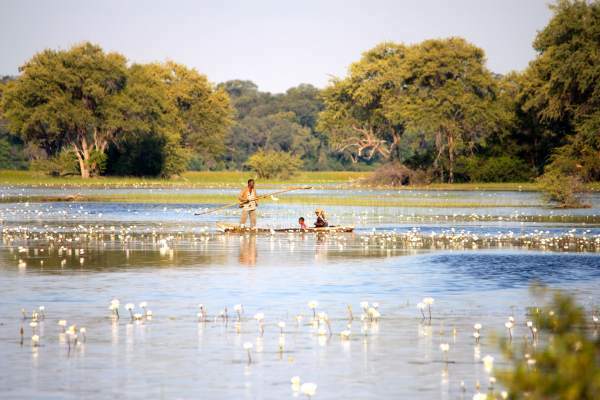 Need: Record & distribute the Thimbukushu LLL1-8 in Shakawe, Northwestern Botswana. Strategy: With Dr Eben Le Roux and coworkers from Botshelo Trust. 1x Envoy mp3 audio player with all the necessary teaching commentaries. 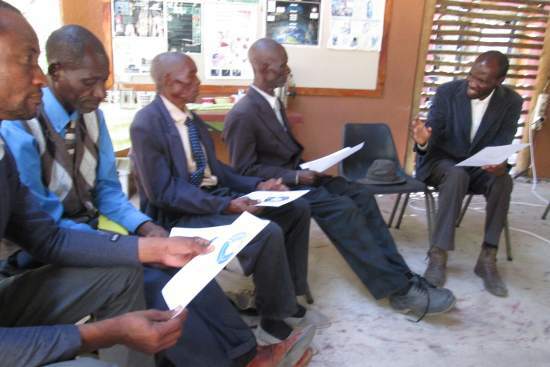 Picture above: In 2016, Hambukushu pastors and chiefs from Namibia and Botswana got together with GRNSA's coworkers from Botshelo Trust in Botswana and Wycliffe personnel in South Africa to discuss the possibility of translating the Bible and Bible stories into Thimbukushu. 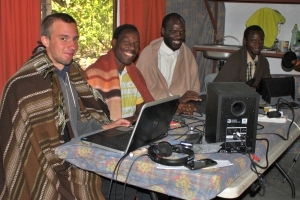 At the end they decided they want to translated the Look, Listen & Live 1-8 Bible story sets from GRN, followed by the whole Bible in Thimbukushu. Need for Old Testament: "There is a Thimbukushu New Testament, but why did they not start with the Old Testament? Are we not good enough to have the Old Testament like the other languages? We can't teach people the new things if they don't even know the old. We have to start at the beginning." Also, "Many Hambukushu are educated and in important positions but in rural areas it is not like that." And "children do not understand. Preachers don't understand and don't preach clearly because they are using some else's words." 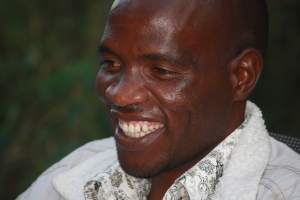 Pr Meke Ntemogang: "Thimbukushu in Botswana is diluted by Setswana. I love the way they speak it in Namibia. I usually preach in Setswana and English. Once at a burial I read from the Thimbukushu New Testament. People loved it so much, they wanted to hear more and have their own Bibles. But unfortunately even the one I had, I had borrowed. There are no Bibles. If we have it in hand we'll draw many Hambukushu to the Lord and build His Kingdom. Many in my church cannot read English or Setswana but can read Thimbukushu. But there are no Bibles. Important development: Knowledge of this project has spread cross border into Namibia and the interest in it has grown extensively. The Humbukushu is a widely dispersed people group and Humbukushu speakers from other areas joined this translation project. They helped with these translations and sat in on discussions about terminology, vocabulary and dialectic terms used. We believe this can double or triple the impact of this project and end-product. 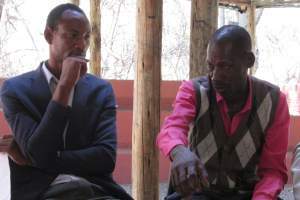 The Humbukushu is also showing interest in this project because they've been seen as the oppressors of other people groups in the areas where they live. They're used to being treated antagonistically. They started to see this project as "somebody actually cares about them too". 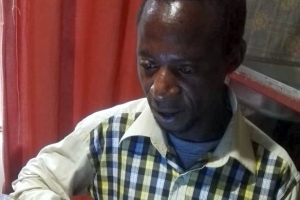 Through this project GRN hopes to make the Message of the Bible available to more people, in the mother tongue, in a style they understand and in a form that makes the Bible content accessible to all. June 2018 - Our recordist, Joel Juedes, successfully recorded all LLL1-8 story sets in Thimbukushu. He is currently busy editing and processing these recordings. 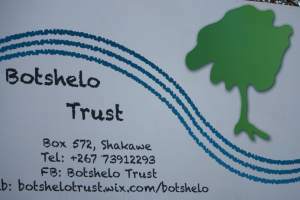 We are thankful for the workers of Botshelo Trust who work with us on this project. After editing they will have to do a final check before we will distribute the content. The passion we share with them: To empower and equip the local believers to share the Message of the Bible with their own people and neighbouring peoples. 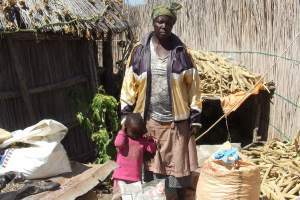 You can help to make the Living Water available to the Hambukushu of Botswana and Namibia.